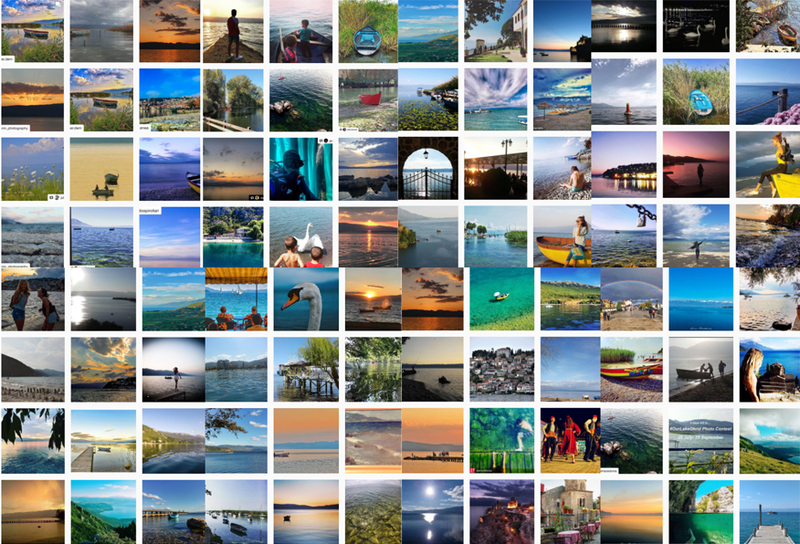 We are pleased to announce the launch of second social media competition #OurLakeOhrid on Instagram and Facebook. We want to feature all seasons in a special Lake Ohrid region photo album. You are all invited to be part of promoting this extraordinary heritage of lake Ohrid Region. Could be special moment/person/quote/story/photograph from the Lake Ohrid region (Albanian and Macedonian sides) on Instagram or the Lake Ohrid Heritage Facebook page https://www.facebook.com/LakeOhridHeritage using the hashtag #OurLakeOhrid, along with a brief description. It could be a person, place, scenery, object or a cultural practice or tradition – it's up to you! The contest will run for two months from 25 July -25 September 2017. Top 50 submissions will be part of Lake Ohrid region Photo Album to be published as part of the EU/UNESCO project for the Lake Ohrid region in printed and electronic version, along with the author’s name and the story behind the photo. Each of 50 winning photographs will be given a copy of Lake Ohrid Album. Photos will also be showcased in electronic album that will be available on project’s page of the UNESCO World Heritage Centre website. - Creativity: we are looking forward to reading imaginative and passionate stories! - Content: we wish to know why you care about the Lake Ohrid region. Wishing Good Luck to all participants ! Jemi të lumtur t’ju njoftojmë se do ta zhvillojmë konkursin e dytë në mediat scociale #OurLakeOhrid në Instagram dhe Facebook. UNESCO do të publikojë një album të madh me foto nga rajoni i Liqenit të Ohrit në të gjitha stinët. Jeni të ftuar të bëheni pjesë e promovimit të trashëgimisë së jashtëzakonshme të rajonit të Liqenit të Ohrit. Ndani një fotografi nga rajoni i Liqenit të Ohrit, fotoja mund të jetë e shoqëruar me një histori, emocion që lidhet me këtë rajon. Fotot mund t’i postoni në faqen tonë të Facebook https://www.facebook.com/LakeOhridHeritage dhe në Instagram duke përdorur hashtag #OurLakeOhrid. Fotoja mund të jetë një person, vend, objekt ose traditë nga rajoni i Liqenit të Ohrit. Konkursi fillon nga 25 Korriku deri në 25 Shtator 2017. 50 fotot më të mira do të jenë pjesë e albumit të rajonit të Liqenit të Ohrit dhe do të publikohet si pjesë e projektit të BE/UNESCO për rajonin e Liqenit të Ohrit. Albumi do të jetë në print dhe elektronik, fotot do të jenë të shoqëruara me emrin e autorit dhe historinë e fotos. Secilit nga 50 fitueseve do t’i jepet nga nje kopje e albumit të këtij konkursi. Fotot fituese do të prezantohen edhe në albumin elektronik, i cili do të jetë i disponueshëm në faqen e projektit në faqen e internetit të UNESCO-s. The following Terms and Conditions apply to the “OurLakeOhrid” photo contest, organized by the Lake Ohrid region project team composed of staff from UNESCO, the Advisory Bodies ICOMOS, ICCROM and IUCN as well as other relevant partners (project team). By participating in the contest, the candidates accept the full terms and conditions contained herein. PresentationThis contest involves the submission of photographs that illustrate the significance of the cultural and natural heritage of the Lake Ohrid region, accompanied by a short description of around 50-100 words explaining why this experience is important for the photographer and what his or her relationship with the Lake Ohrid region heritage. The description may be submitted in English, Albanian and Macedonian. The contest is free of charge. Participation rules1. Any individual from any country can take part. Members of UNESCO staff (either permanent or temporary) as well as the Advisory Bodies to the World Heritage Committee ICOMOS, ICCROM and IUCN are not eligible to participate. 2. The Entries are intended to present and promote the principles of universality of cultural and natural heritage. This can include sites, monuments, objects, artefacts, and cultural practices such as music, dance and other traditions for the Lake Ohrid region. 3. There are no limits on the number of Entries that each Entrant can submit. The photo can be prepared using a mobile phone or camera or any other device. Any expenses incurred during submission are to be borne by the Participant. 4. There is no registration. 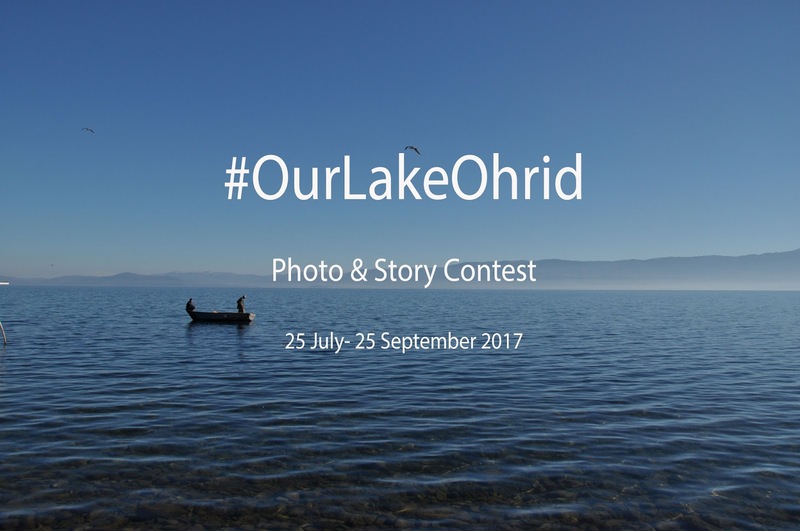 Entry is determined by the posting of the photo with accompanying story to either Facebook or Instagram and tagging it with the #OurLakeOhrid hashtag. To be eligible, entries MUST be set as ‘Public’ so that they are visible to the project team. 5. Entries must be submitted to Facebook or Instagram before 25 September 2017 at 18:00 Paris time (GMT + 2). Entries published after the established deadline shall not be considered. The project team shall not bear any responsibility for late or lost Entries due to network failure or any other reason. 6. Photos must be taken and the accompanying text written by the Entrant him or herself. Photos must have been taken in the last five years, i.e. after 25 July 2012 in the Lake Ohrid region. Photos can be colour-corrected or have filters applied, but should not be digitally manipulated in terms of content and context. 7. The project team reserves the right to exclude Entries that have obscene, violent, sexually explicit, sexist or racist content, or which violate any fundamental rights. The Entries must also not invade the rights of privacy of any person, living or deceased. 8. By submitting their Entries via Instagram and Facebook and using the #OurLakeOhrid hashtag, the Entrants accept that these Entries may be used by the project team as part of its communication tools including in the Lake Ohrid region photo album prepared as part of the EU/UNESCO project for the Lake Ohrid region. By participating, the Entrants declare their agreement that the project team may use the material in line with the UNESCO Open Access policy (http://www.unesco.org/open-access/terms-use-ccbysa-en). 9. Entrants must possess the exclusive rights to Entries and are responsible for having obtained any necessary permission from the subjects shown on the Entries, in accordance with applicable law. The project team will not be responsible for any claims or complaints against infringement of rights or damages from third parties relating to the Entries, and the Entrant agrees to indemnify and hold project team harmless in such cases. 11. Shortlisted Entrants will also be asked to sign a Creative Commons license that allows others to use and distribute the photos and texts. The Entrants will retain the right to use their images for whatever purpose they wish, and be attributed for any usage by project team or any another party. Users not agreeing to this license, or failing to respond within one week to project team’s message, will be excluded from the contest. For more information about the license, visit: http://creativecommons.org/licenses/by-nc-nd/2.5/. 10. The project team will select the winning Entries on the basis of the following main criteria: (i) creativity, (ii) content (i.e. effectiveness of the entry as a tool to promote the values of the Lake Ohrid region) (iii) composition (i.e. technical and artistic quality of). The photo and text will be treated as equally important – a strong photo without accompanying text will not be considered. 11. Top 50 entries will receive a free copy of the Lake Ohrid region photo album. There will be no cash alternatives. 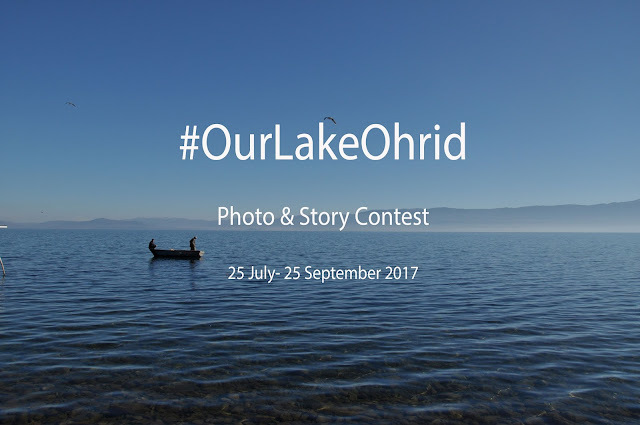 Top 50 entries will be compiled into a # OurLakeOhrid photo gallery, which the project team reserves the right to use in a manner it deems suitable. 12. The project team’s decision will be final. Any attempt by an Entrant to influence the result or subvert the contest will lead to immediate disqualification. 13. Participation in this contest implies accepting all of the present Terms and Conditions without exception. The project team reserves the right to rule on any issue(s) not covered by these Terms and Conditions. In the event that an Entrant should disagree with any decision made by project team, that Entrant will have the right to withdraw his or her Entry. 14. The project team will inform the winners of the results of the challenge. If a winner is unable to be contacted after reasonable attempts have been made to do so, project team reserves the right to select the next best Entry. 15. The project team reserves the right to modify or cancel the contest or any of the arrangements, schedules, plans or other items directly or indirectly related to the contest, at any time and for any reason. 16. Winners will be entirely responsible for any taxes or charges related to the receipt of any prize.